It may have been a disappointing weekend for both the Munster and Ulster rugby teams who both lost in the Guinness Pro12, BUT … here in the Diocese of Cork, Cloyne and Ross we are celebrating. It was great to see two former classmates (Class of 2008) from Midleton College (a Church of Ireland school in the Diocese) put in stellar performances for their respective provinces on Saturday. Clive Ross completed the full 80 mins for Ulster in their loss to the Ospreys and Dave O’Callaghan made his long awaited comeback for Munster, away to Glasgow, after knee surgery. Very well done to both! 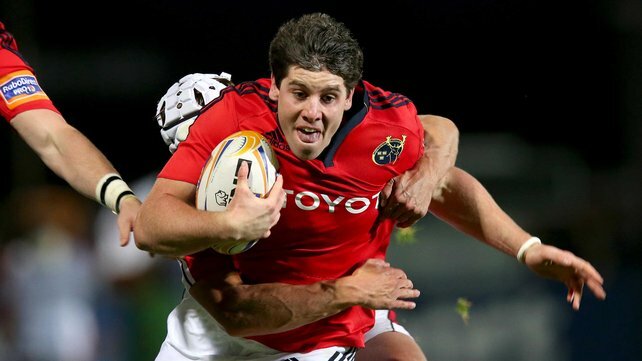 Dave O’Callaghan (Midleton College Class of 2008) playing for Munster. 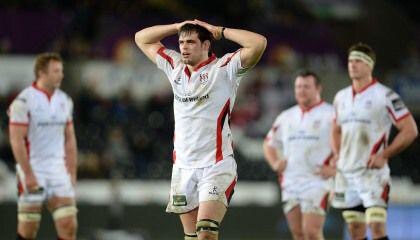 Clive Ross (Midleton College Class of 2008) playing for Ulster. This entry was posted in Diocese, Education, Schools in the Diocese. Bookmark the permalink.